"This moment", Marco Taggiasco Brand New Album! Four years after the acclaimed debut album Thousand Things, the long anticipated new CD from Marco Taggiasco is about to be released. Recording sessions have been done in Rome, Copenhagen and L.A. The album is titled This Moment and counts two unreleased tracks written by Eric Tagg and a remake of Orleans’ oldie You’ve Been Runnin’. Most of the tracks are performed again by Andrea Sanchini, which also contributes with two songs. 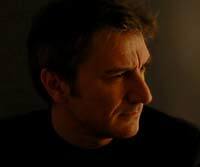 Eric Tagg also features on the opening track, coming back in the studio after ten years of absence! Among the special guests’ names pops up the one of David Pack, delivering us an incredible performance on the title track. Acclaimed Danish/American singer-songwriter Anne Marie Bush features on the beautiful adult-contemporary ballad April In My Heart. Her new release is expected at the end of spring and will contain a song produced by Marco. "I wanted the album to be representative of different sides of my work - Marco explains - and having such great talents performing on this record gave me the best chance to do it. They are the real stars in this project". This Moment will be available on CD Baby and iTunes starting from April 10. You can hear some previews on the artist’s Official Website. Peter Friestedt's L.A. Project part 2 NOW AVAILABLE!! It has been a couple of long years in the making, but now the wait is all over, and believe us when we say that the wait has been more than worthwhile! Zink Music and Peter Friestedt presents “LA Project II”, an album that features lead vocal performances by Joseph Williams (Toto), Bill Champlin (Chicago), Randy Goodrum, Lou Pardini (Koinonia), Bill Cantos, Michael Ruff and Stefan Gunnarsson. The latter is the voice behind the bonus track “Always On My Mind”, a song that only is featured on the Zink Music release of the album. And if the just mentioned isn’t enough, mastermind Peter has brought on an impressive list of friends and musicians to play on the album and on here we find Abraham Laboriel, John JR Robinson, Tris Imboden (Chicago), Tommy Denander, Ingemar Åberg and some of the above mentioned singers that also lend their instrumental talents to the album. When it comes to mixing and mastering such a high-quality that “LA Project II” is, there is no other way than to go to with the best, so mixing was done by Ronny Lahti at Khabang & Location Studios while mastering was done in HDCD quality by well renowned Björn Engelman at Cutting Room in Stockholm - so expect nothing else than the best sound available! The album consists of ten songs and Peter has amongst others co-written with Bill Champlin, Randy Goodrum, Brian Hobbs, Bill Cantos and Lou Pardini. Regarding the song-writing Peter says: “I have written some of my strongest material ever, I have been surrounded by great co-writers and I am very proud of the way the tracks turned out”. Peter’s extraordinary guitar work shines throughout the record, going from sensitive acoustic guitar and slick rhythm lines to blistering solos. What makes this record irresistible is the combination of outstanding musical performances, state of the art song-writing and high quality production! The album is available from the Zink Music website and from all retailers with a good sense for quality…. Famed Producers Ben Wisch and Jeff Jacobs lend a hand to this collection of Doc Schneider songs, performed by outstanding artists -- including Eugene Ruffolo, Lucy Kaplansky, Jon Allmett, Greg Ferguson, Cheryl Wilson, and Josie Aiello. 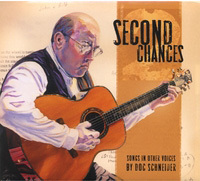 Schneider's first album "Choices and Chances", was his solo debut in his own voice and with his own guitar. For the new album, Schneider turns over a batch of 18 songs to the pros, and lets the pros do all the singing and playing. (Schneider sings only on the last track.) This album represents a second chance for his songs, old and new, in the hands of an all-star lineup. Ben Wisch has produced Marc Cohn (Walking in Memphis), David Wilcox (Home Again), Eugene Ruffolo (The Hardest Easy), and countless others. Jeff Jacobs is the keyboard player in Foreigner, and played for 5 years with Billy Joel. These talented musicians give their all to Schneider's songs and manage to make them sound like they fell straight out of the singer-songwriter treasure chest. For those who have dug in that treasure chest before and who have been moved by songs by James Taylor, David Wilcox, Dar Williams,Paul Simon, or really any song that aims at confessions and hopes of the heart set to music with an intimate delivery style, pull up some headphones, a glass of wine or two, and get ready to open up your heart. German-born, Seattle-based, Award winning singer-songwriter and multi-instrumentalist Hans York has quickly made himself a name as an extraordinary DADGAD player and strong, engaging performer with a distinctive style and an irrepressibly delightful and approachable manner. His intimate and distinctive voice draws comparisons to Sting, Paul Simon, Kenny Rankin or Michael Franks and captures the audience instantly with its honesty and clearness. Hans accompanied Robert Palmer on German TV, toured as bassist with the New York Broadway Ensemble, played throughout Europe with master harp player Rüdiger Oppermann, and performed a Concerto as Soloist on fretless bass with the "Ars Quittilinga" Chamber Orchestra (Concerto written by contemporary German composer Thomas König). Hans York co- founded the German Worldmusic cult band Moka Efti and recorded three CDs with them. The third album, “Fata Morgana” features US saxophonist Charlie Mariano and producer/saxophonist Heinrich von Kalnein (Vienna Art Orchestra). Hans spent six months in Rio de Janeiro where he studied Samba, Bossa Nova and popular Brazilian music, an experience that upon his return to Germany, inspired his first solo album Hazzazar. His 2008 album "Young Amelia" is a low-key gem showcasing York’s impressive acoustic guitar playing, appealing tenor and strong songwriting skills. His approach to the guitar blends jazz, folk and Classical European styles into a sound that’s both familiar and unique. Self-produced and recorded live in the studio in a mere two and a half days with the help of some talented friends (credits below), Young Amelia shows off York’s distinctive guitar sound, full of rhythmic and melodic flourishes that impress without overwhelming the songs. 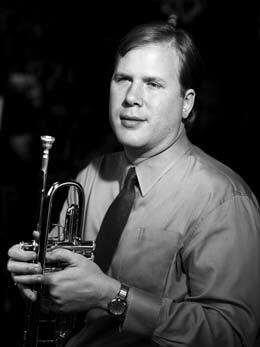 York favors open tunings, which give his playing an expansive feel, marked by full, round notes and chiming overtones. 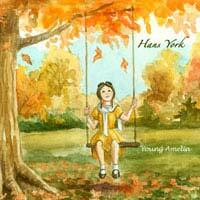 "Young Amelia" takes you on a subtle journey to explore the hidden recesses of the human heart with outstanding musicianship and deep compassion. The set includes “Tell Me Why,” a jazzy, Brazilian flavored tune marked by York’s impressive fretwork; the classic swing of “Invocation,” which will be the album’s first single, where York drops a bit of tongue twisting vocalese worthy of Jon Hendricks into the mix, and the gently rowdy ragtime of “Never Been in Love,” a tongue in cheek celebration of life after a failed relationship. Other standout tracks include “Young Amelia,” a ballad full of melancholic poetry that investigates the heartbreaking tension between love and loss, youth and old age; “Snow,” a tune with a circular guitar melody that suggests swirling snowflakes; the elegant, measured ballad “Inner Windows;” the newgrass bounce of “Lifeline,” and “Letting Go,” a hushed meditation on the death of a parent with one of York’s most poignant vocals. York will be touring extensively to support Young Amelia, impressing audiences with his remarkable musicianship and low-key charisma. Shane Alexander "The Sky Below"
Shane Alexander presents "The sky below", ten new songs recorded over two weeks during late September / early October in Los Angeles. Shane once again teamed up with LA production duo, Heroes & Villains, with whom he made his 2006 release Stargazer. 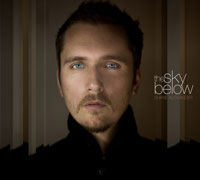 Longtime sideman and co-conspirator, Chad Crawford appears on bass, Adam Benjamin on piano, and returning from Stargazer are: drummer Charlie Paxson (James Blunt, Colin Hay), multi-instrumentalist Billy Mohler (Macy Gray, Liz Phair), and Kim Bullard (Goo Goo Dolls, Tori Amos) on Hammond organ. Veteran producer / engineer / mixer Toby Wright (Alice In Chains, Wallflowers, Chris Whitely, Trey Anastasio) mixed the record. In 2007 Shane Alexander performed for the biggest audiences of his career when he opened SEAL's U.S. tour, in addition to his own touring in the US, Canada, Netherlands, Germany, France and Belgium. Nearly all of the songs from the Stargazer album were licensed for television, including: ABC's Brother and Sisters, Big Shots, and What About Brian?, ABC Family's Wildfire, CBS's Criminal Minds, FOX's Bones, MTV's Real World and Laguna Beach and shows and movies for Nickelodeon, and Lifetime – exposing Shane's songs to millions worldwide. 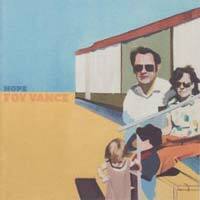 May 2008 sees the release of two new tracks - both re-workings of tracks from "Hope", Foy Vance's debut album. Future Cut ( Lilly Allen, Dizzy Rascal, Kelis) co-produced and mixed a re-worked version of "Shed a little light" adding horns and organ to the gospel vibe of the original. A complete re-recording of "Be with me", produced by The Free Association a.k.a. David Holmes, carries Holmes' Trademark beats set against a jazzy, cinematic, southern gothic ambience studded with electronic swashes and synths. Foy's debut album "Hope" was released last summer to wide critical acclaim. The Belfast Telegraph named Foy "The most important solo musician to emerge from Northern Ireland since Van Morrison" and the albulm recieved glowing reviews from publications as diverse as Uncut, Maverick, The Sunday Times, The Sun, The Daily Mirror and The Daily Mail among many others. Foy is actually touring intensively. Go to his myspace or Westcoast Rendez-vous (French version) for more informations! 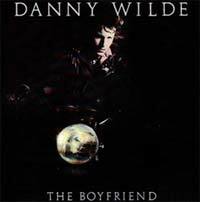 Download Danny Wilde's "The boyfriend" for free! Danny Wilde's first solo album featured a lineup that looks very much like that of the first Rembrandts album-with Phil Solem on guitar and Pat Mastelotto on drums. But the sound of The Boyfriend isn't quite what a longtime Rembrandts fan might expect. While the album features solid songwriting and Wilde's signature voice, The Boyfriend is a straightforward guitar rock album, and a pretty good one. The first single, Isn't It Enough, was a Top 20 rock radio hit, and would often be covered by live by Martina McBride and appeared Patty Smyth's album 'Never Enough'. The follow up, Body To Body also received heavy airplay from rock radio. Because Wilde jumped ship to Geffen Records shortly after the album's release, The Boyfriend was never issued on CD and has been out of print for years. But now you can download the album right here! Chicago in concert in Paris this summer! Chicago start a big tour with dates in Japan (Some dates with Huey Lewis and the News), in US (some dates with the Doobie Brothers) and will visit europe this summer. 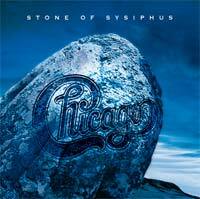 Chicago will play in Paris, France on july 29th, 2008 at Casino de Paris! Last time Chicago gave a concert in France was in 1976 with their big success "If you leave me now". Don't miss this event!! 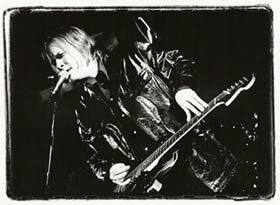 Jeff Healey, arguably one of the most distinctive guitar players of our time, died on Sunday March 2 in St. Joseph’s Hospital, Toronto. He was 41, and leaves his wife, Cristie, daughter Rachel (13) and son Derek (three), as well as his father and step-mother, Bud and Rose Healey, and sisters Laura and Linda. "Mess of Blues" was recorded in studios in Toronto, with two cuts recorded at the Jeff Healey’s Roadhouse in Toronto and two at a concert in London England. The backup group on the upcoming CD — the Healey’s House Band — played with him regularly at the downtown Roadhouse, and at a previous club bearing his name in the Queen-Bathurst area.